Membrane fleece Gorka suits presented in this website feature a classic fit. In terms of functionality they outrank the basic model – the army mountain suit used by the Special Forces soldiers. First, “Gorka” made of membrane provides better protection from wind and rain. Second, it is water-resistant and lighter than tent cloth; it dries fast. Another benefit consists in the fact that camouflage patterns made on membrane is fade/wear/tear-resistant. Therefore the membrane “Gorka” suits preserve their disguise capacity during the whole service life. Under intensive exploitation the colour may fade a little, though. The membrane camouflage “Gorka” suits produced under the trade mark have been tested and used by the National Guard soldiers. The “Gorka” suit was recognized and appreciated by the experts. The membrane “Gorka” suits are popular with people who choose effective protection against wind. Therefore they inspire hunters, fishermen, hikers, ATV/motor boat drivers, motorcyclists. “Gorka” suits made of membrane are created for low and medium physical activity levels. There is a difference between the two types of membrane – porous and non-porous. 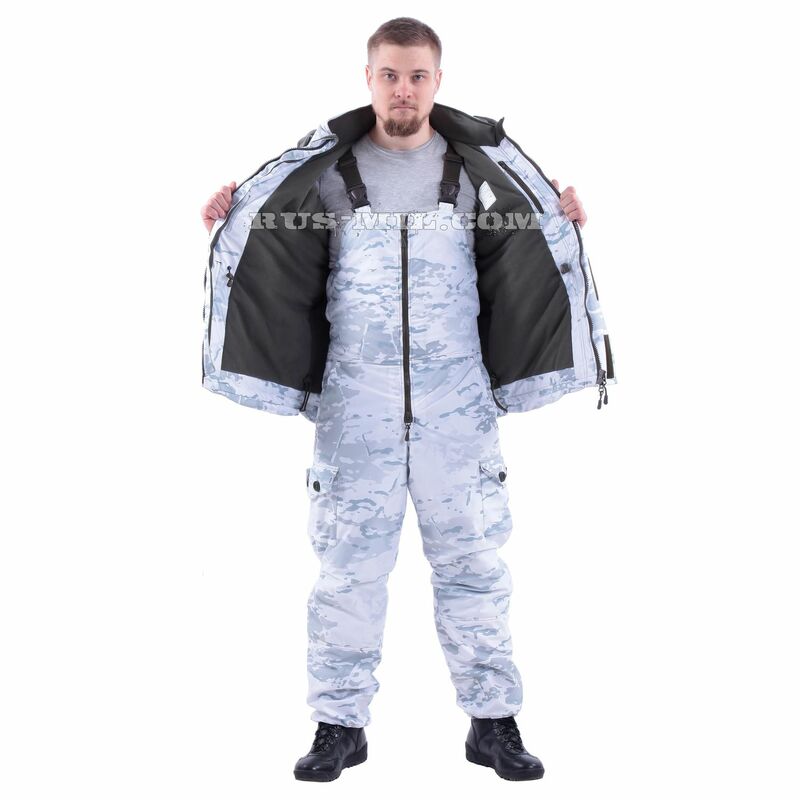 Since porous membrane has better vapor permeability, it is used for manufacturing suits intended for high physical activities; porous membrane suits are ideal for hunters, hikers, snowmobile or ATV drivers. Non-porous membrane works better for fishermen or motor boat drivers. “Gorka” suits made of membrane can be washed by hand or in a washing machine. One should apply special washing detergents, especially it concerns porous membrane products. A special detergent (shampoo) cleanses pores of the protective layer, and it is completely washed out after rinsing, while regular detergents plug up pores which can lead to deterioration in vapor permeability of porous membrane. Important! One should zip up all the zippers on the jacket and trousers before placing the “Gorka” suit in the washing machine. Both jacket and trousers must be turned inside out. For slightly contaminated items it is recommended to select the regime for washing sportswear. Stains are recommended to wash by hand with a brush using a special detergent for membrane fabric. You may use the “Spin” regime. However, never wring the wet suit out. Instead, let the water drip down. Avoid drying the suit in the sun. The trousers should be turned inside out before drying.